The church of St Mary the Virgin is very often called ‘The Church in the Field’ and it’s very easy to see why it has adopted this name. 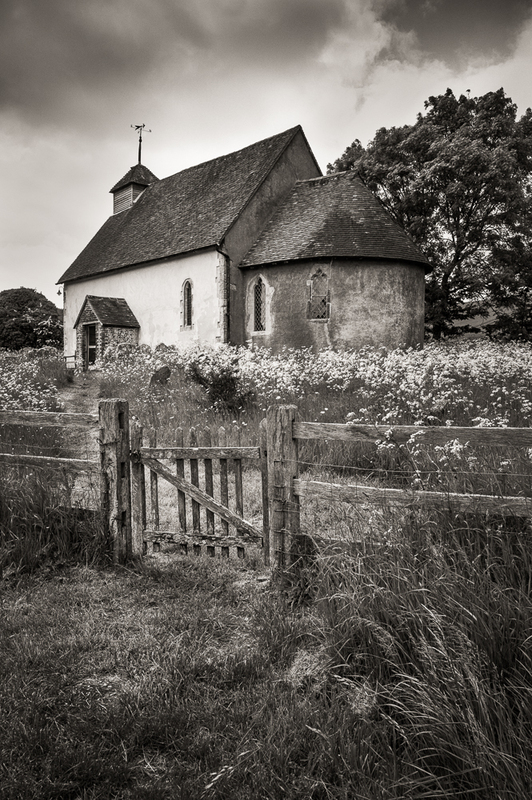 Situated on a hillside with the South Downs for company, this lovely countryside church has fields and footpaths as its neighbours. 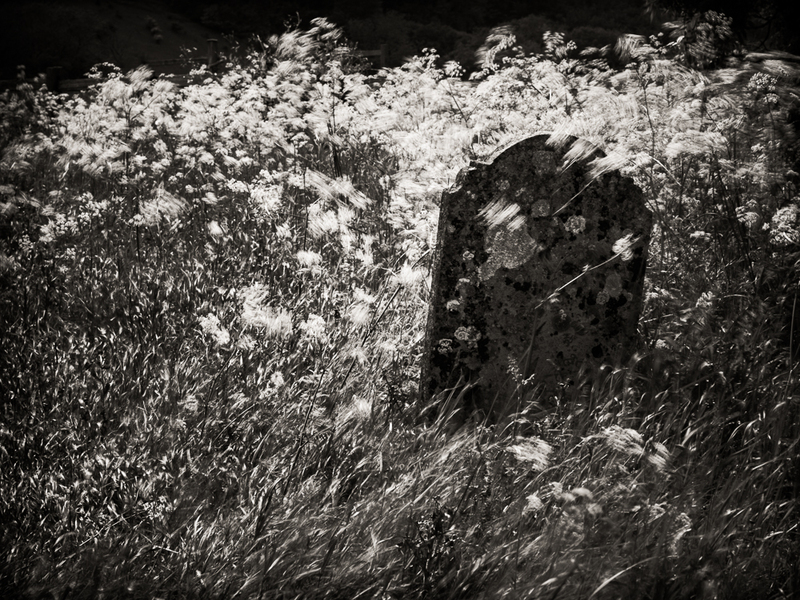 At this time of year the graveyard is full of white daises and when they catch the wind the scene becomes quite enchanting. The interior has hardly changed since its origins in the 12th Century. Plain, simple and largely lit by candles; which is just how I like it. This is one of a handful of churches in the whole country with a semi circular or apsidal chancel. 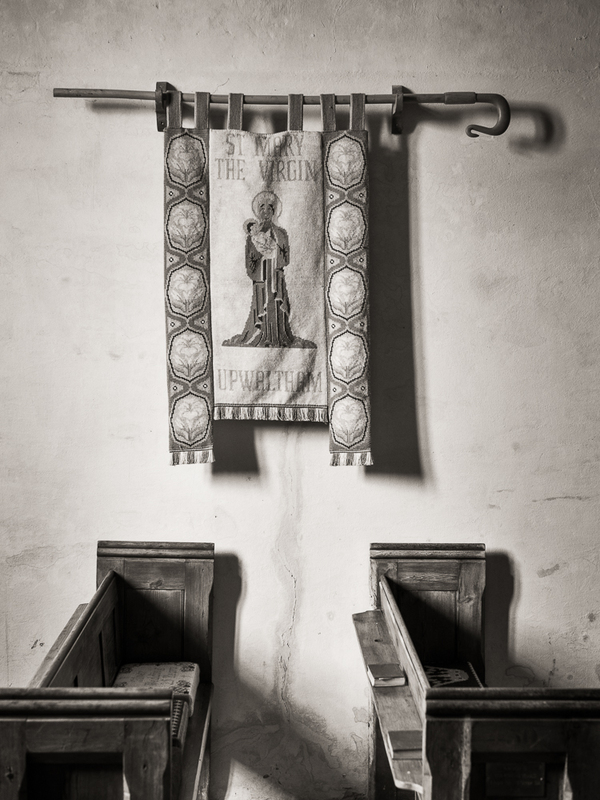 I visited another church recently with a similar feature in North Marden, also in West Sussex. 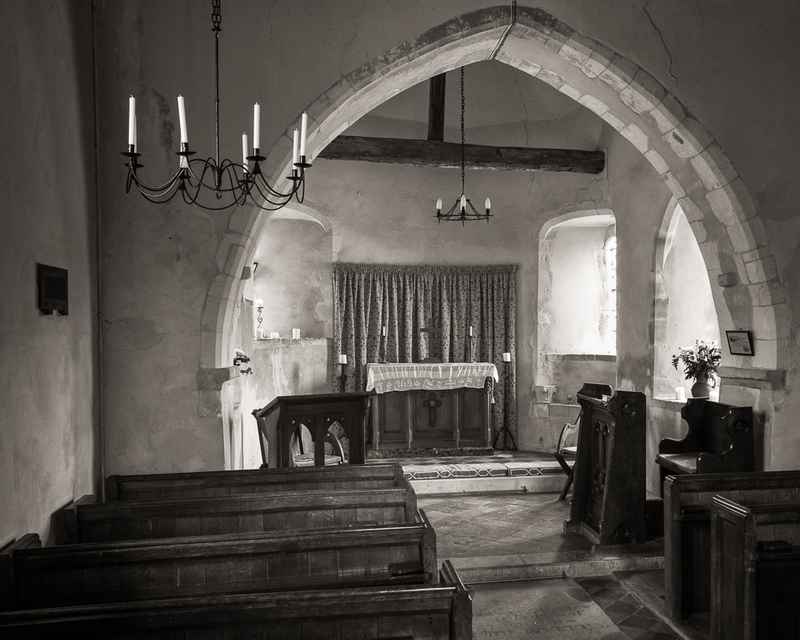 There are very few properties in Upwaltham but I have read that at one time the church served a medieval village. In times gone by it would have been a very tranquil place to live, but today the valley floor plays host to the main road between Chichester and Petworth – the A285. 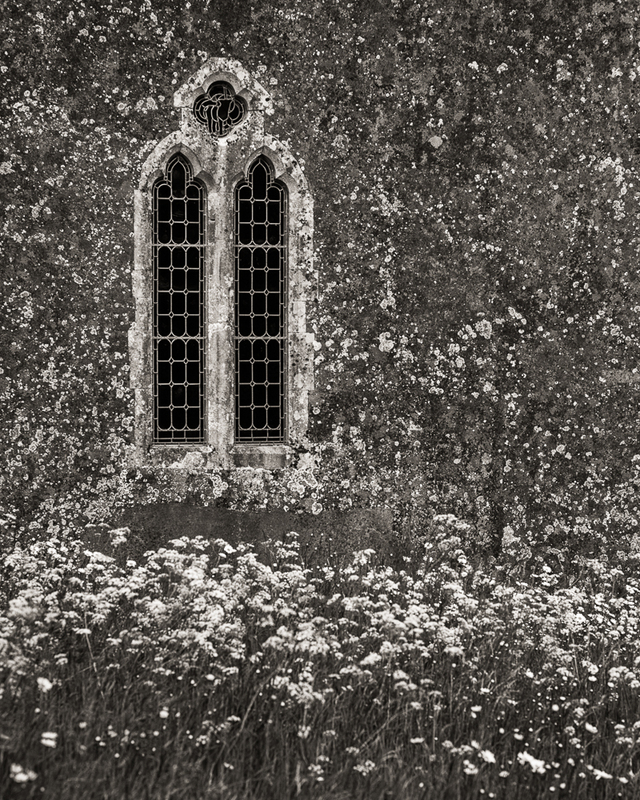 It is perhaps the only thing which detracts from this delightful church; as cars rush by, the drivers probably fail to notice ‘The Church in the Field’. 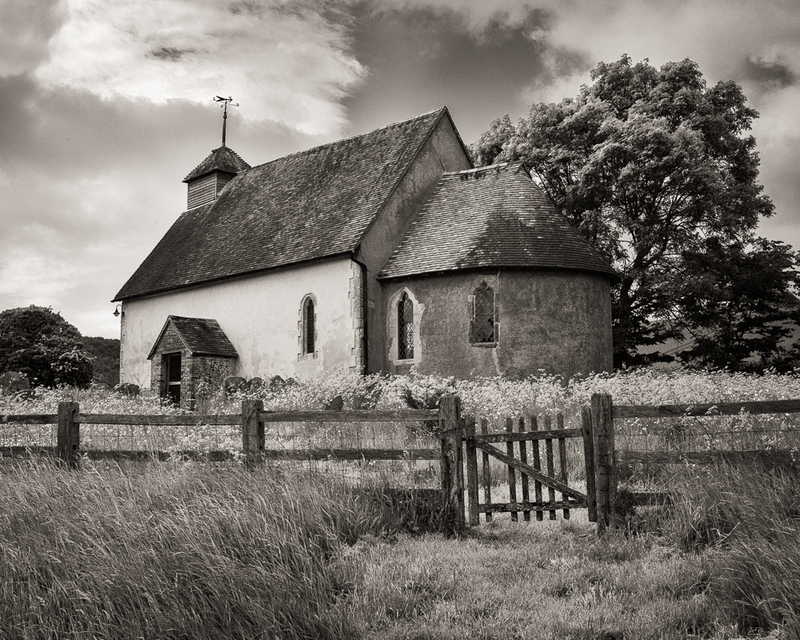 If only they stopped to enjoy the delights of this truly charming Sussex countryside church, it would take them back to quieter and possibly less stressful times. It certainly is charming and I wonder If I ever visited it when living in Sussex in 1978, but perhaps West Sussex was not on my route back and forth to London each weekend. I wish I could remember. 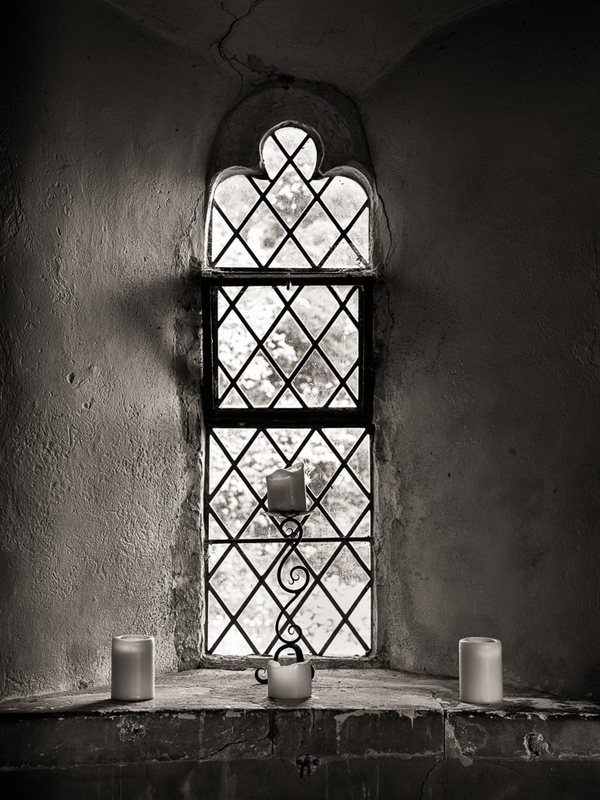 You’ve really captured the history and tranquility of it’s interior in your images. All I do remember is visiting one of the farms on the estate where I worked and that farm being listed in the Doomsday Book (as are my own Ancestors). There something quiet magical touching a water pump or stroking a wall that has stood for hundreds of years knowing that people from so long ago lived and died in such simple structures. (I worked at an estate called Hyes in Rudgwick not so far from Horsham I think. I looked it up on the internet not so long ago and discovered the estate had been split up and sold off to various individuals). Thanks Vicki. Interesting to learn that you were in West Sussex, albeit some years ago. I don’t know Rudgwick that well, but as you say it’s not far from Horsham. I’m down on the coast which is great for both the sea and the countryside- spoiler for choice and know how fortunate I am. Thanks as always for your appreciate comment. A beautiful place and great photos. You capture it’s serenity and its history very well. Thanks very much. Your kind words are much appreciated. 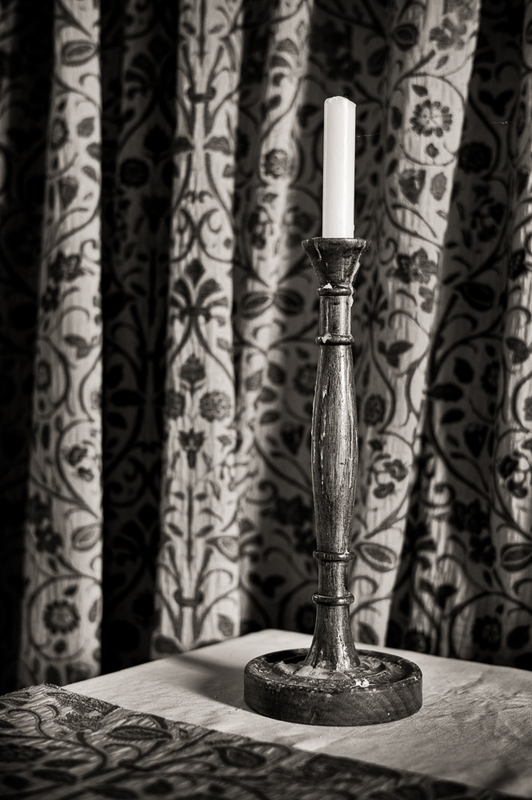 The sepia tone works well for these images, creating a sense of timelessness. I am pleased you think the sepia tone works well. Straight b&w doesn’t quite do justice to the subject in my view. Thanks for commenting, it’s always appreciated. As a location it’s hard to beat, but my favourite interiors are at North Stoke, Sussex and Winterborne Tomson in Dorset.